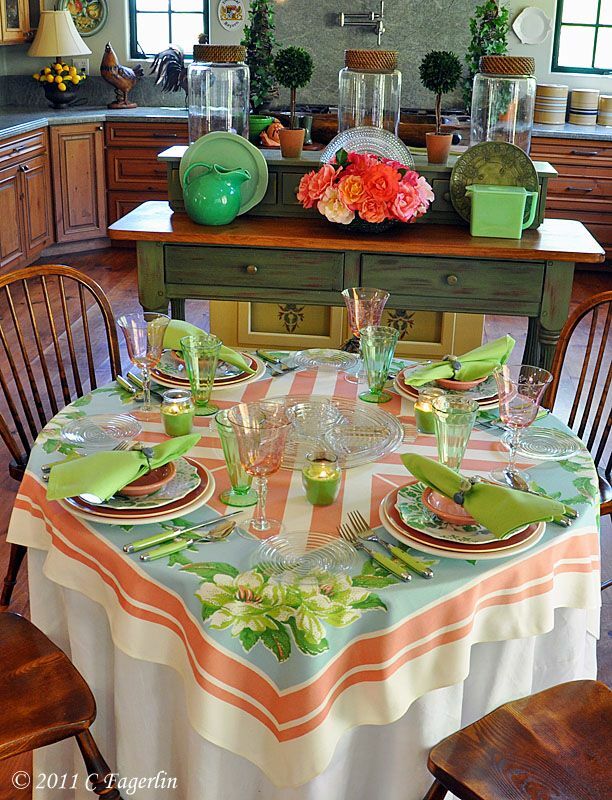 The vintage tablecloth sports circus tent stripes and some beautiful Magnolias. More details at the end of today's post. Thanks so much for stopping by again today, click your heels three times if you'd like a big dose of sunshine to come your way, and mine too! Alphabe-Thursday at Jenny Matlock for the letter "E"
"E" is for EXACTLY the same colors I used for a tablescape EARLIER this week! 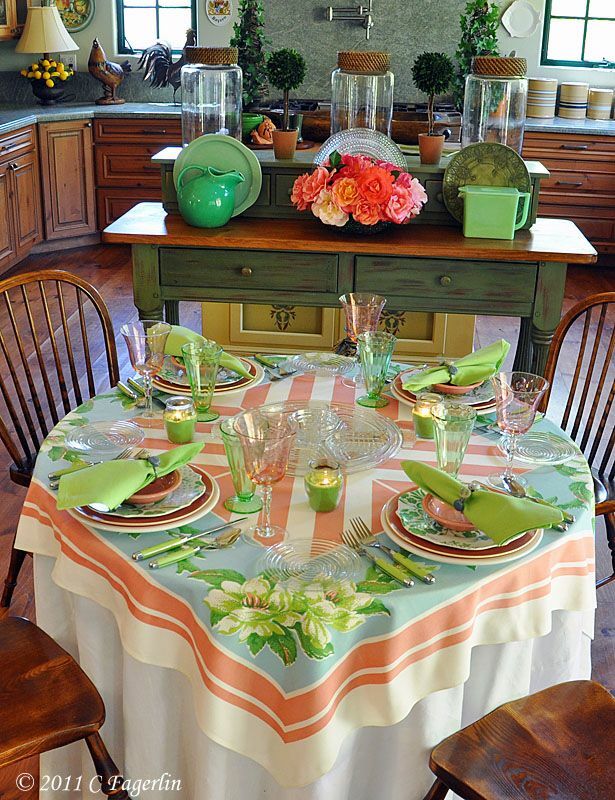 Can't wait for spring, still snowing here unfortunately..
LOVE the melon and green and soft blue! 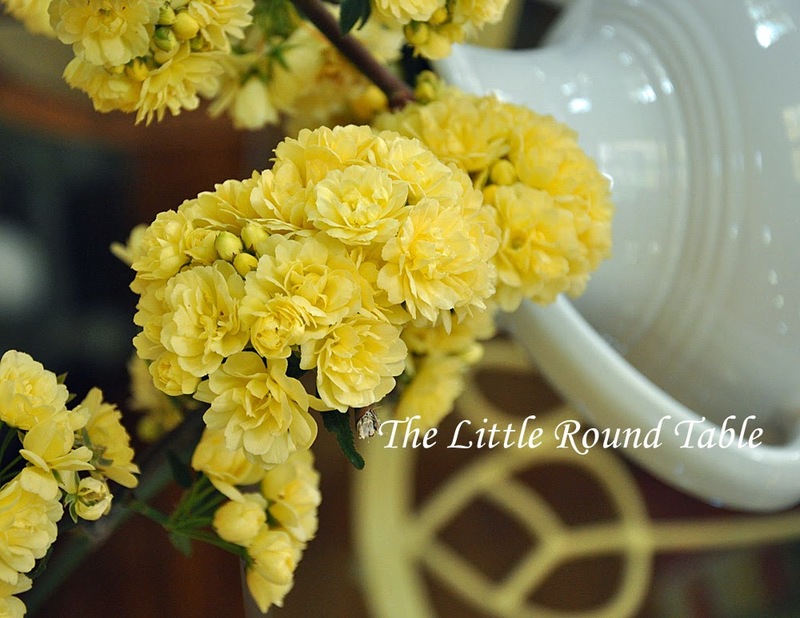 What are the beautiful flowers on that vintage tablecloth? Are they magnolias??? LOVE IT!! 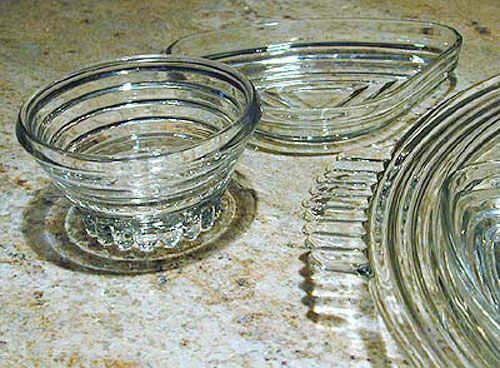 !How wonderful you have the article on your dishes, what a PLUS! It's "Dreary over on the Atlantic Side too Candy". My tree peonies are in full bloom and it's POURING on them! I brought some inside BUT I may just go out, dodge the rain and bring MORE INSIDE! It always cheers me up to visit. 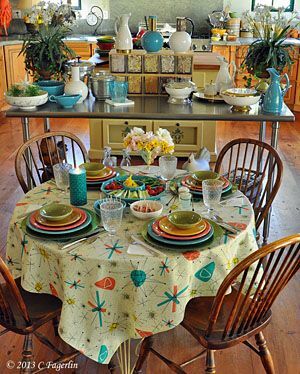 The colors are just beautiful in this tablescape. 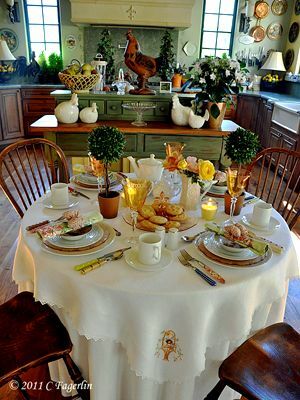 Thank you for sharing another gorgeous table at my party. 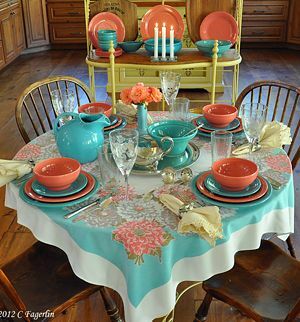 Beautiful cheerful colors! It's raining here in Idaho too ~ again. Your post is just what I need to cheer up a gloomy late afternoon. What a wonderful flower arrangement. 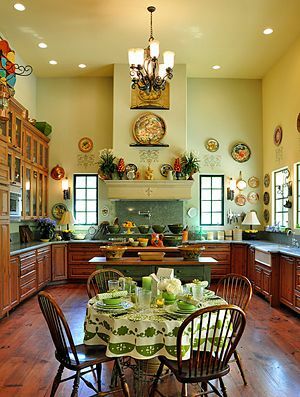 Your kitchen/dining look so inviting and beautifully decorated. Your table is lovely! 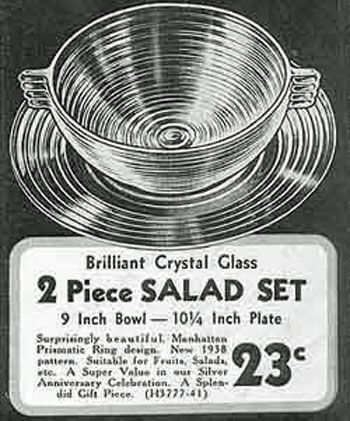 I enjoyed seeing the vintage ads. My, how times have changed. WOW Candy this does chase away the rainy blues! 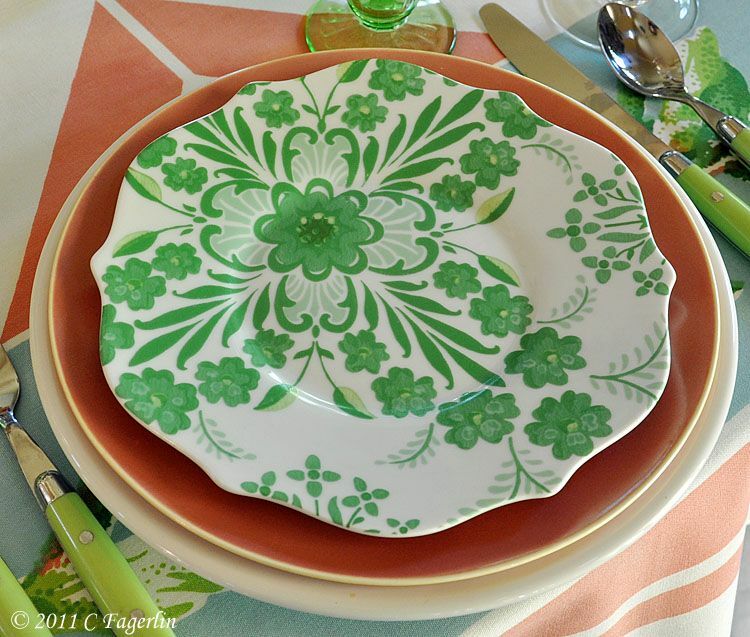 You have the prettiest tablecloths and always have just the right tableware to pull together the best tablesettings! I am always amazed. Sorry I have missed your posts. I have had some remodeling done in our kitchen/den area where the computer is located. No computer for two weeks! Hopefully I can get a chance to catch up on your always inspiring blog! 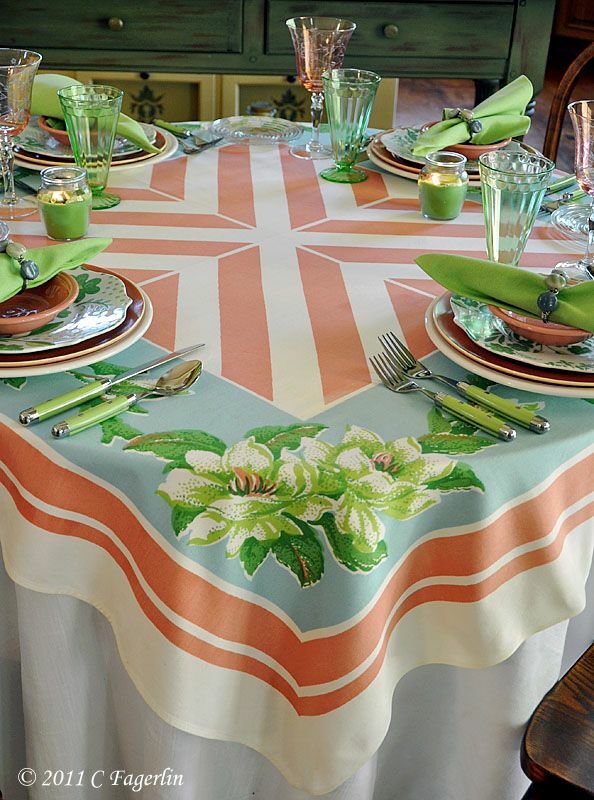 Oh the peach and lime colors are quite stunning together. I do love your wonderful collection of linens. E is for ENVY ... 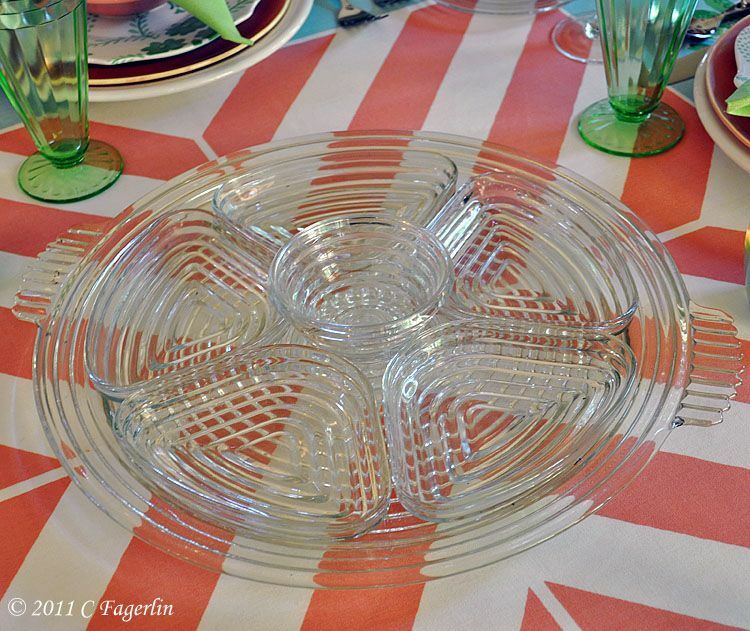 I envy that Manhattan tidbit tray! Thanks for sharing. 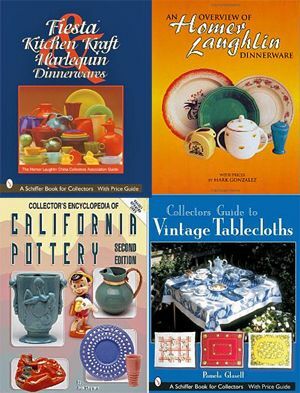 I'm always in awe of how marvelously you pair such a wide variety of dishes, both vintage and modern, with one of the lovely tablecloths in your collection. Lovely! My...ohhhh my! 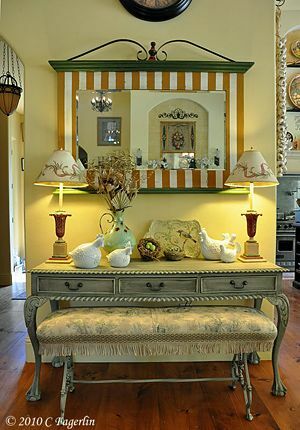 Surely this beautiful, sunshiny table will chase the gray skies away! Hehe! 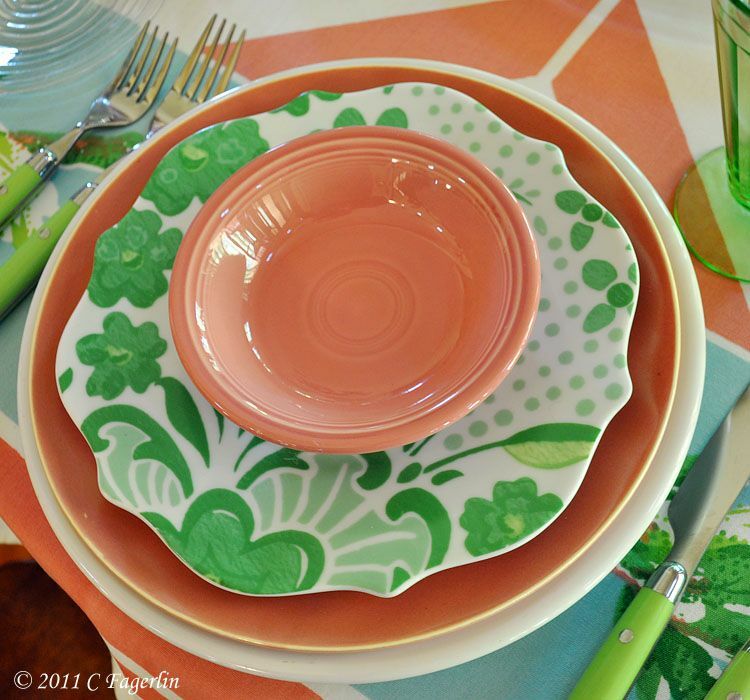 I really do love the sherbet orange and citrus green paired together! 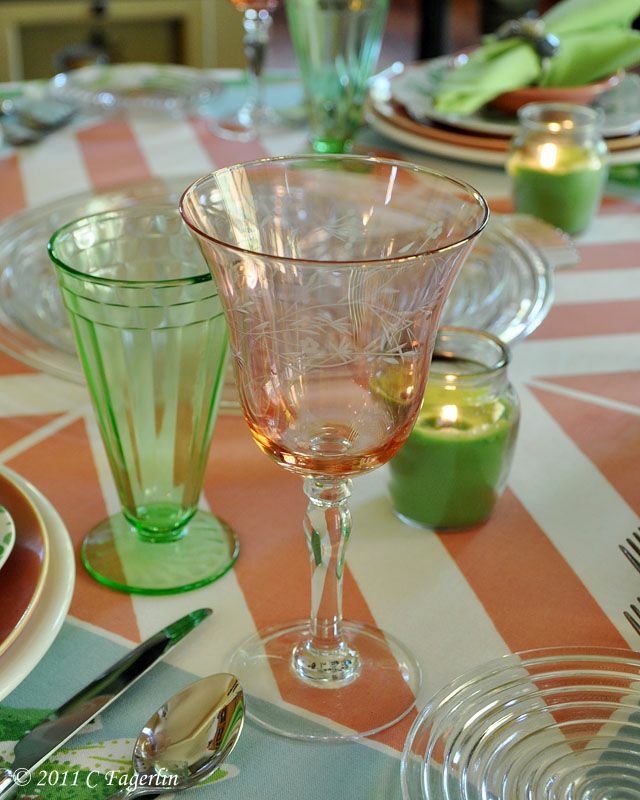 And...what a fabulous tablecloth...love the orange and white stripes! Well my friend, I have to say that the first thing that caught my eye...were those gorgeous orange stems...they ARE sooo beautiful! 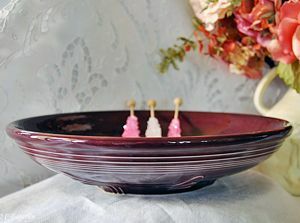 This is the first time that I have seen stems in this color and I just love them! 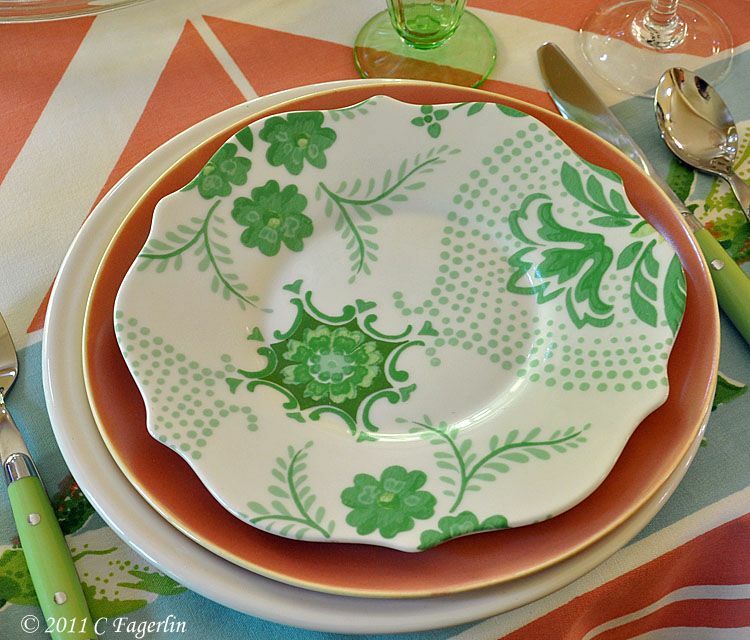 Such a pretty table...thank you for sharing it with us today! Ohhh...and seeing the vintage ads was awesome! So much fun! 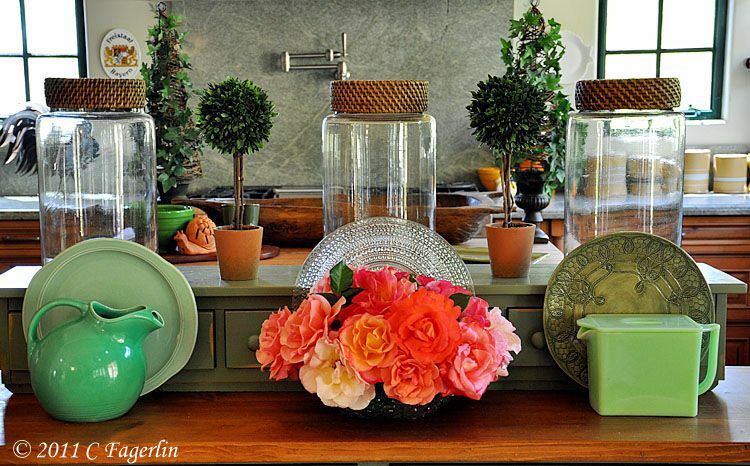 What a beautiful tablescape! The colors are wonderful! 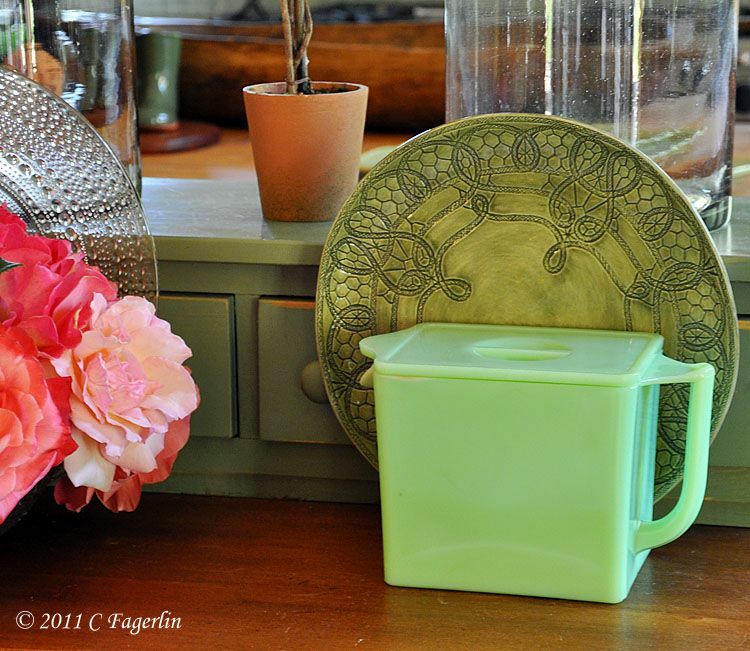 Love it all, but especially the jadeite container!! 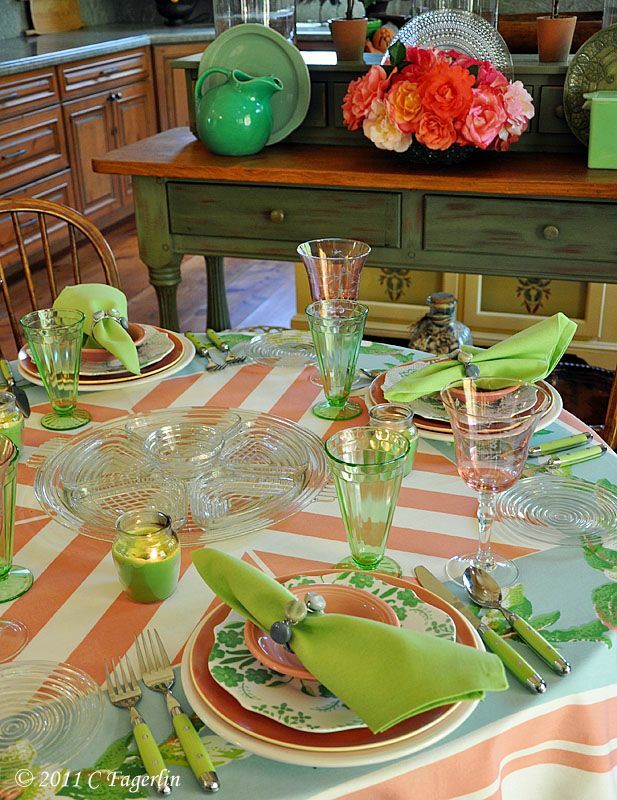 Hi Candy, I love the beautiful spring greens in this tablescape. So soft and pretty! The pink stems are calling my name, sweet. 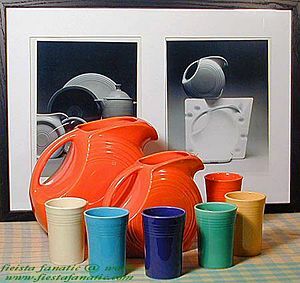 Thanks for your comments about the Fiestaware. It has been helpful. Accck...Where did my comment go? Blogger is being tempermental for me this morning. I'll try again since my test just worked! 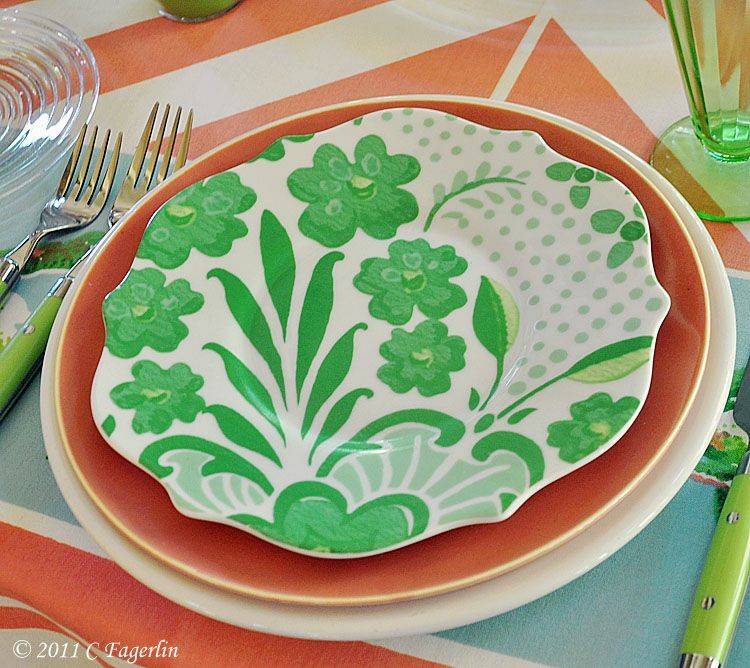 Love this happy yet elegant color combination. 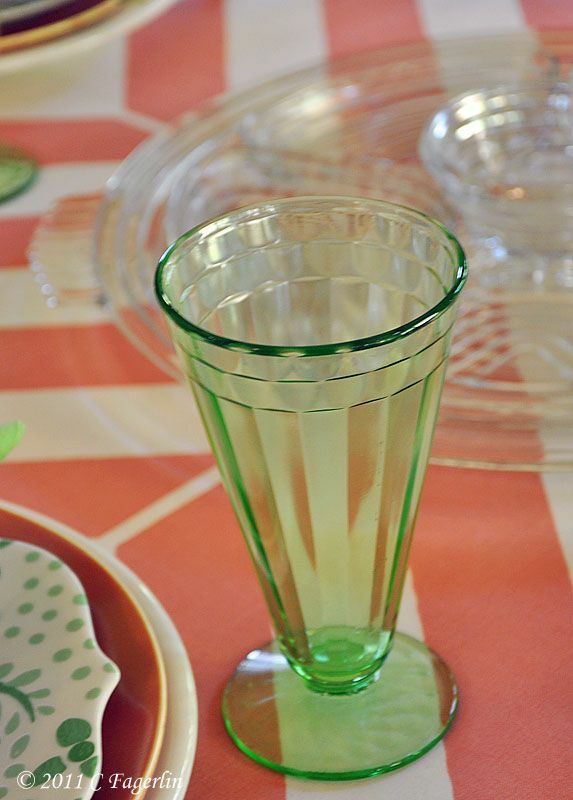 I love the sparkle of the clear glass incorporated with these springy colors. 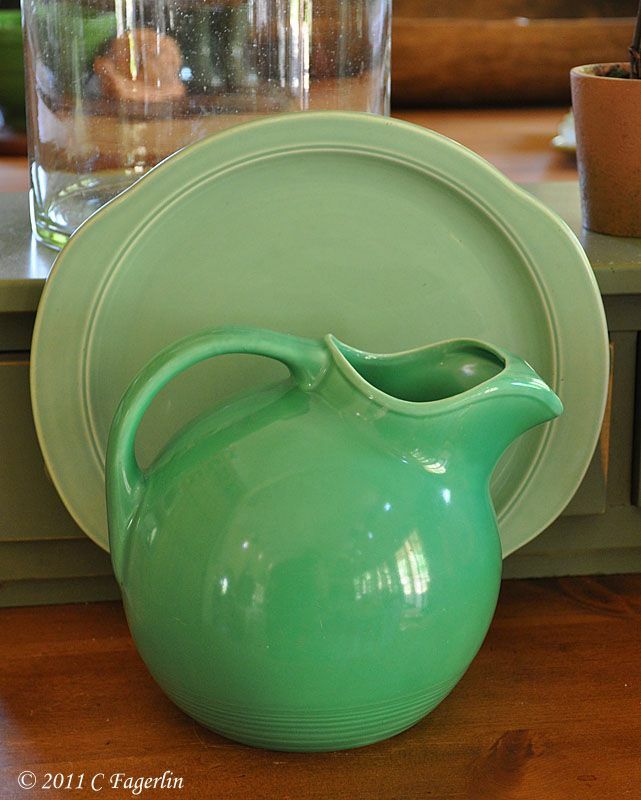 And that rectangular pitcher...be still my heart. 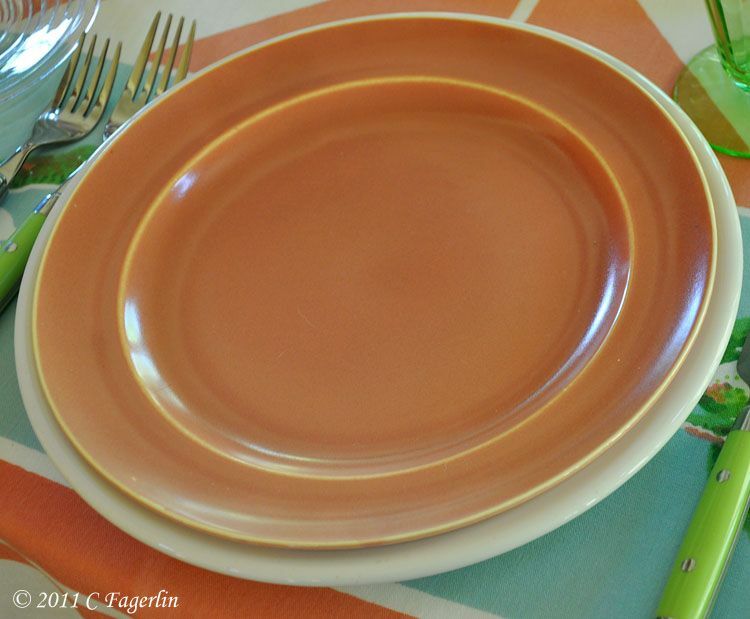 Thanks for another exciting tablescape! And thanks for linking to the letter "E". And I think the wishing for some sunshine worked, at least here on the West Coast! We have bright blue skies and warmish sun today....wooohaaa! 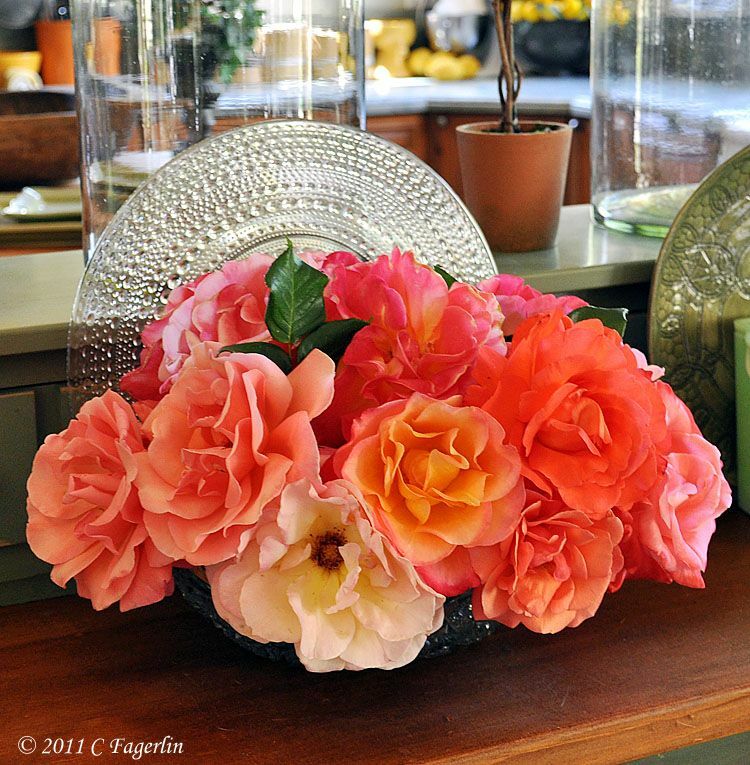 The roses are all pretty soggy and beaten down and weeds are appearing everywhere with this late season rain. The snails are loving the moist wet conditions and are soon to be dispatched! 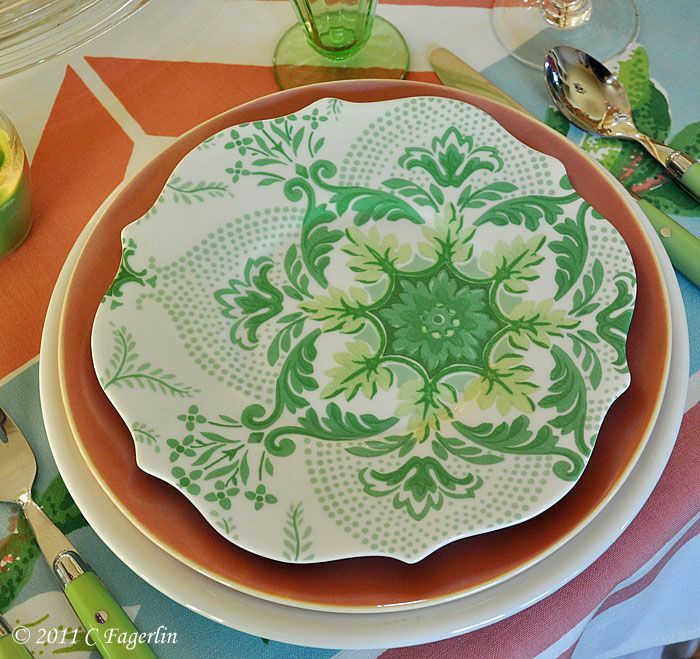 Thanks again for stopping by to see my tablescape. 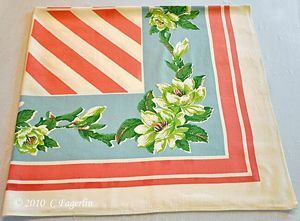 And yes, those are Magnolias on the cloth. 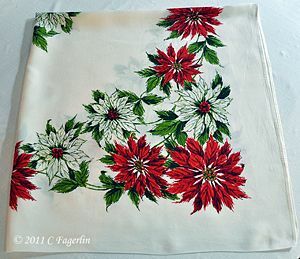 What a gorgeous vintage cloth! 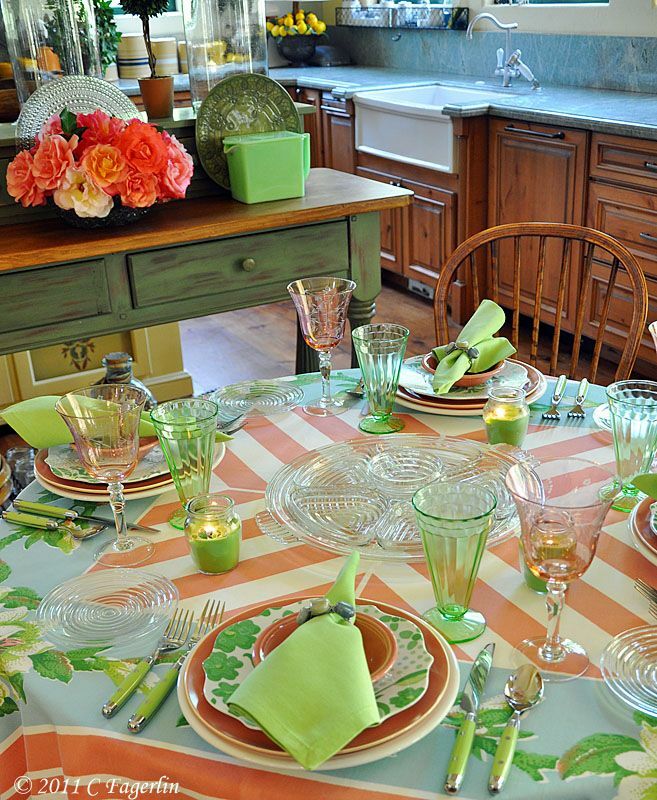 And your tablescape is just wonderful - so full of spring with the pinks and greens. 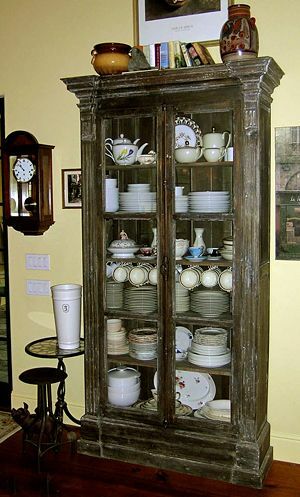 I always enjoy your use of vintage things. Don't you wish we could purchase them for those prices! 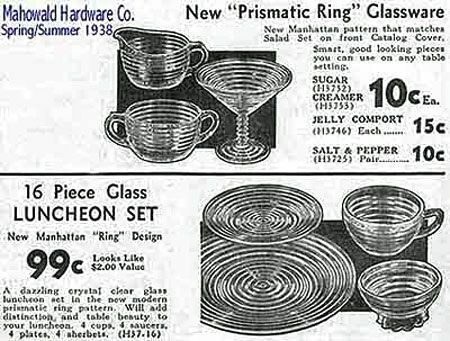 Don't you wish we could find prices like those these days! 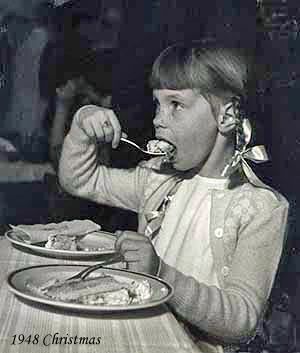 1938...loved this! Just beautiful! 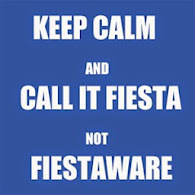 I love the Fiesta plates! 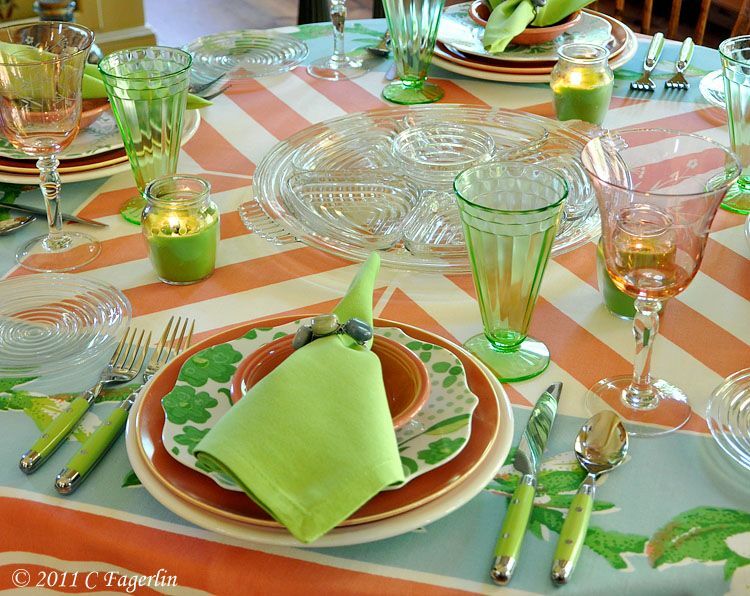 The go so well with the melon ones and the tablecloth is gorgeous, like all the ones you display, everytime! 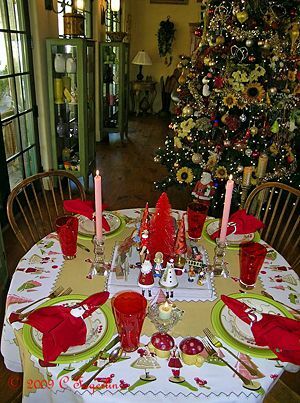 I have a round table too, I wish I could find a pretty tablecloth like your vintage ones! The glassware it's so pretty too. I'm also at TT, BNOTP. 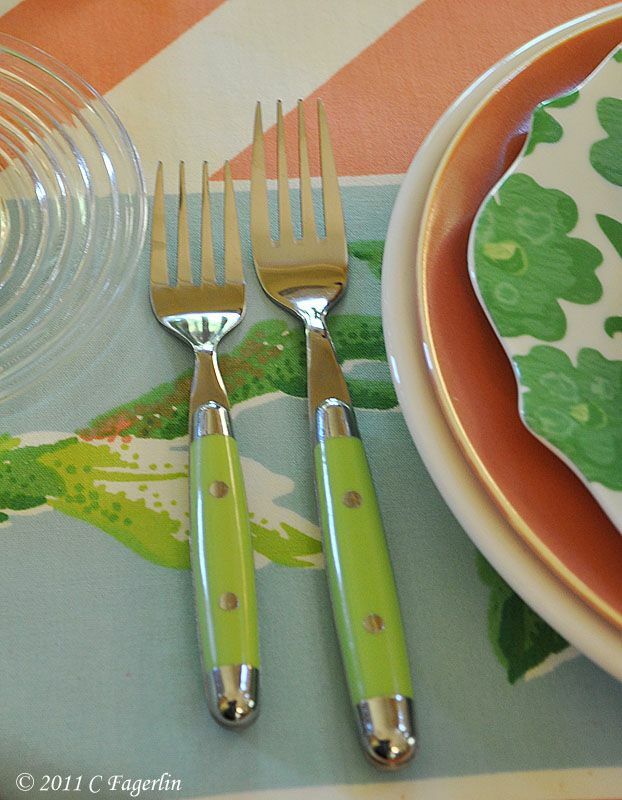 We've always admired the manhatten pattern - very pretty! 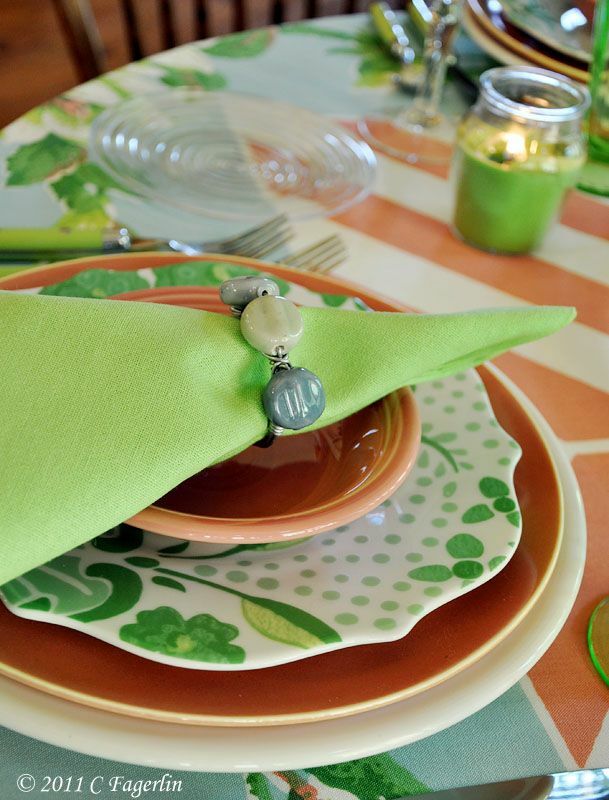 Your table setting is so pretty...how could sunshine not come out to see THAT?!! I'm sure your table chased away the gloom! 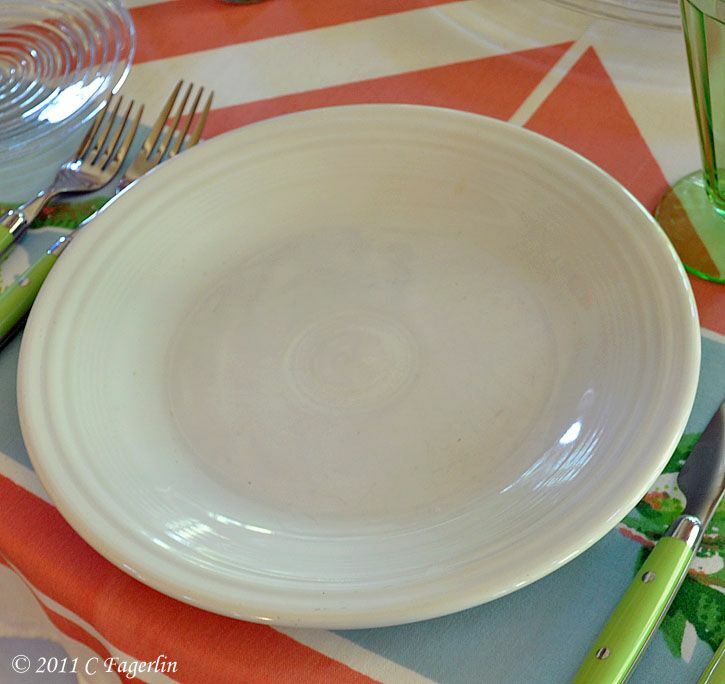 Love the new green and white plates. Very interesting. I see you purchased them at HomeGoods, but who manufactured them? Oh how we wish for rain in Texas! Your table is, as always, terrific. 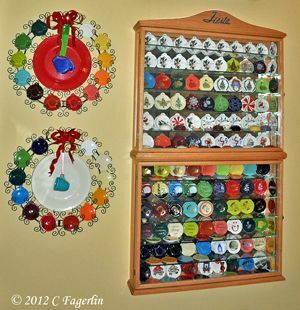 You have so many interesting things to work with and such a knack for putting them together. 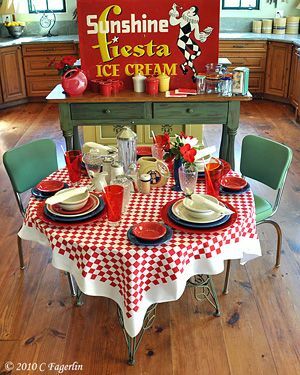 Candy, this table looks as fresh as a spring rain. Love the color combo. 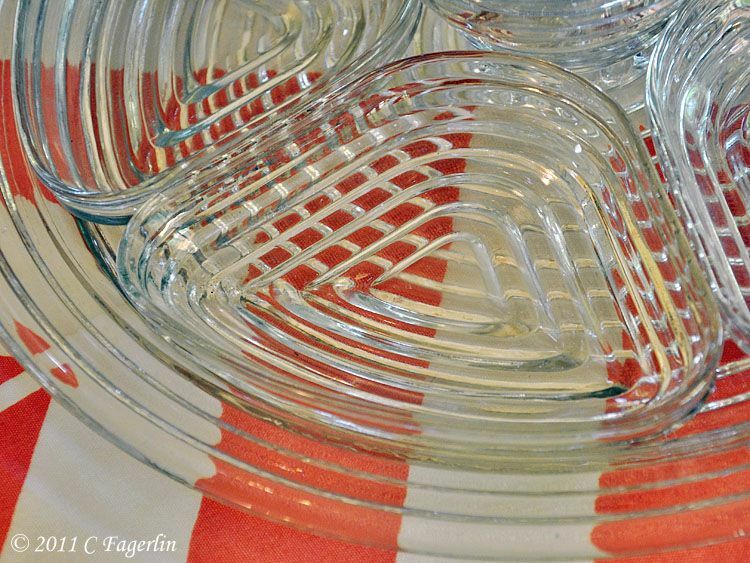 I love it when you mix modern dishes with the vintage. 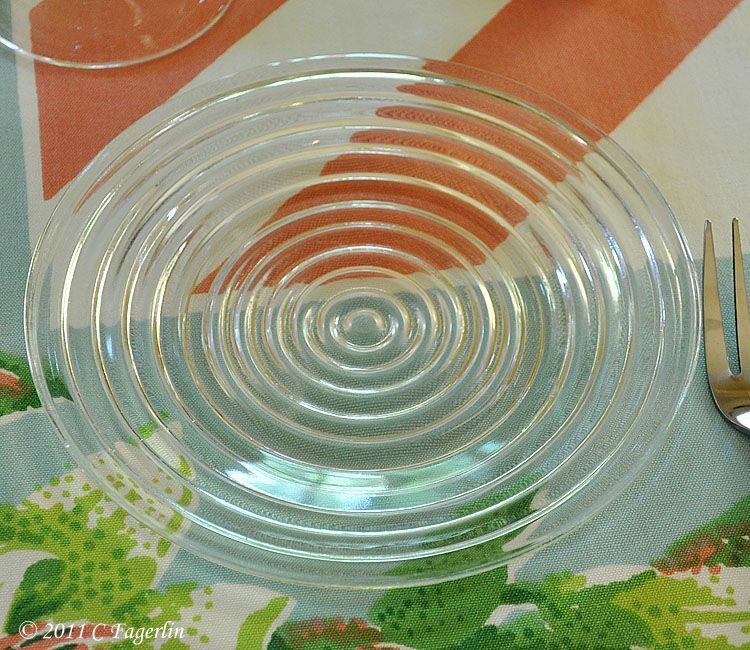 It gives a whole new look to your tables. The colors are amazing! 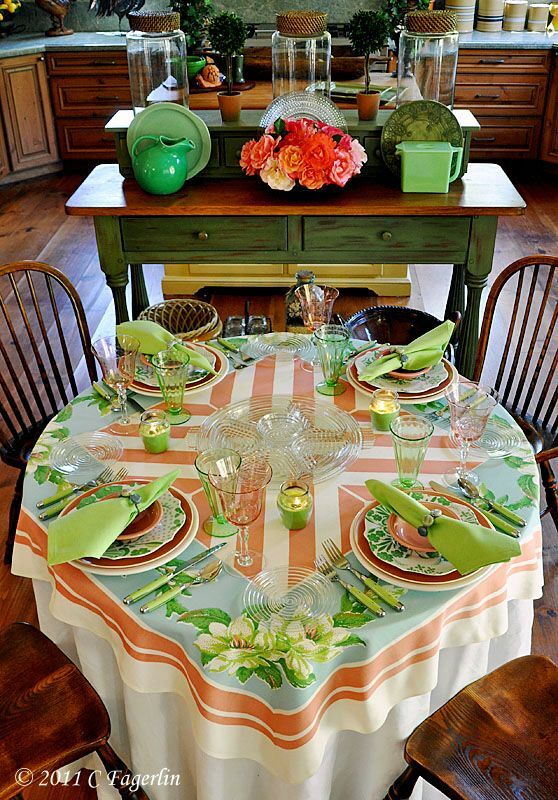 You could call this your honeydew and cantaloupe table. Such a pretty color scheme. Thanks for linking it up! 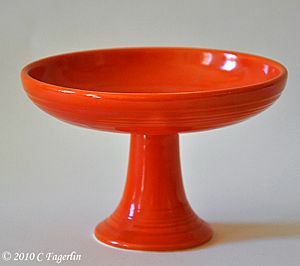 It's been rainy here too, but your beautiful bright colours certainly chase away the gloom! Every time I come over here is a new opportunity to drool! :-) It is all just so lovely and your attention to detail is amazing. Thank you so much for sharing this with us at Inspiration Friday this week! 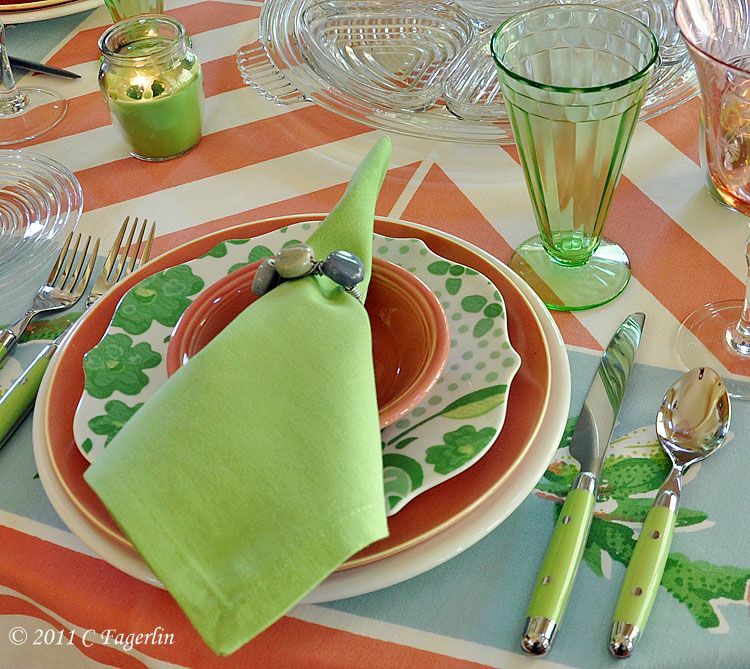 Thank you all for coming by again today to check out my tablescape. We are having a few days of sunshine this week, so I think the positive thoughts are working! 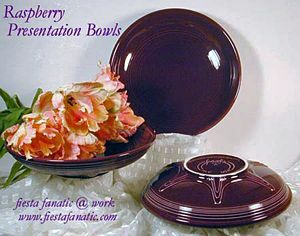 The stylized floral plates are by Rosanna. I picked up one set at Tuesday Morning and another set of four at Home Goods within the last couple years or so. Thanks myorii, so glad you enjoyed your visit to TLRT!